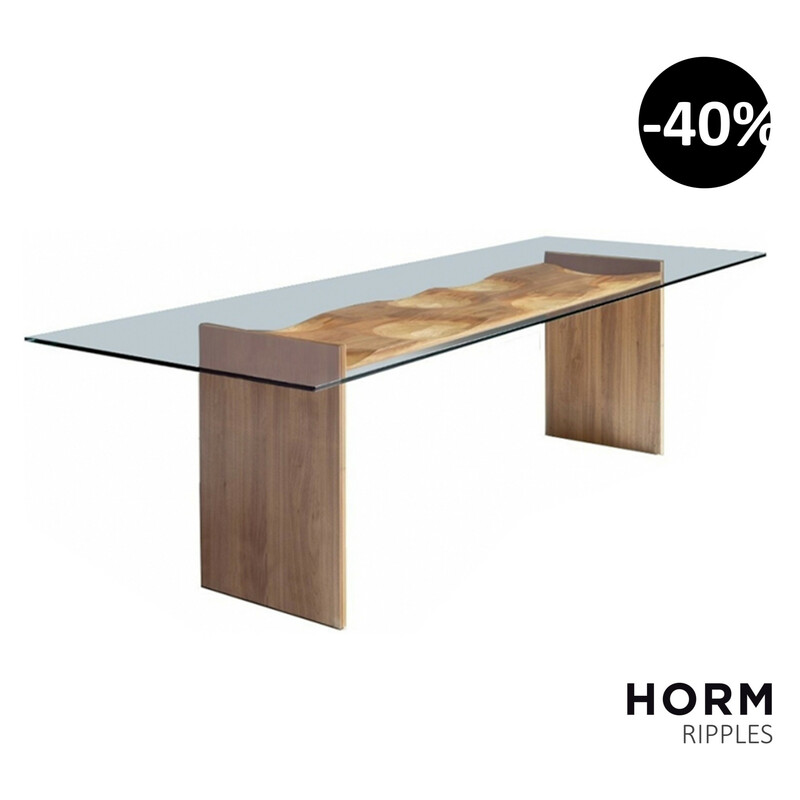 Table with glass top to admire the supporting structure, consisting of a plywood of five different solid wood. On the walnut tree are mahogany, cherry, oak and ash. The colors and directions of the fibers are defined to produce an elegant polychrome effect. The exclusive as much poetic processing of wood, in a strict aesthetic perimeter, remembers a fluid movement, such as when a stone is thrown into the water.